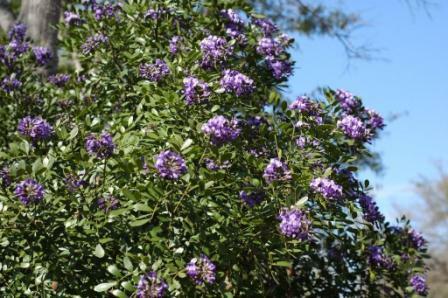 Q: What is the best way to plant Texas Mountain Laurel seed pods and how long do they take to germinate? B.R., Temple. A: They germinate fairly easily in 2 – 4 weeks if you do a couple things. Remove the red seeds from the pods and scratch the surface with heavy sandpaper or a file. Then soak the seeds in Garrett Juice for the night and plant in organic potting soil. My favorite these days is an equal mix of compost, coconut fiber and expanded shale. Add a small percentage of lava sand, Texas Green sand and decomposed granite to the mix. These additions shouldn't make up more than 20% of the total mixture. 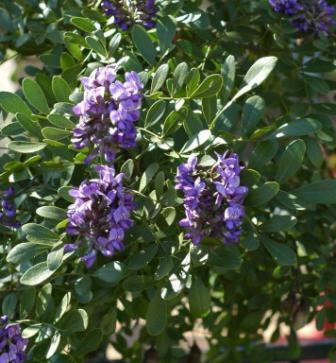 These are wonderful little spring blooming trees that should be used more in zone 8 and warmer zones blooming trees that should be used more in zone 8 and warmer zones.